“Follow The Money” To The Watergate In Foggy Bottom! In the iconic movie, “All The President’s Men,” there is one legendary line by veteran actor Hal Holbrooke. Instructing reporters to follow the flow of cash away from the investigation of a break-in at the Watergate Complex. 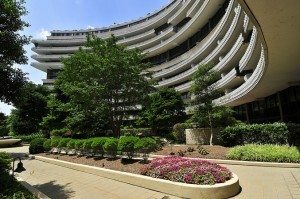 My advice today is if you’re considering a penthouse purchase in the Capital Region; follow the money that’s moving to the sprawling 10 acre Watergate Complex along the Potomac River in Foggy Bottom. The Watergate consists of six buildings, three of which are residential co-op properties offering some of Washington’s most spectacular views of the Potomac River, the Kennedy Center and the monuments. In the past few months, it has been the scene of several monumental sales including a four-bedroom, three-and-a-half bath property in The Watergate West Building with 3,640 square feet on a corner with two balconies. The list price was $1,595,000 and it closed at $1,475,000. As for current listings, the cream has risen to The Watergate South Building where two units are combined into one dramatic residence that is heralded as the best renovation and river view. You can have all 2,915 luxurious square feet including two bedrooms, two-and-a-half baths and direct views of the Potomac from every room for $3,200,000. Just don’t delay! 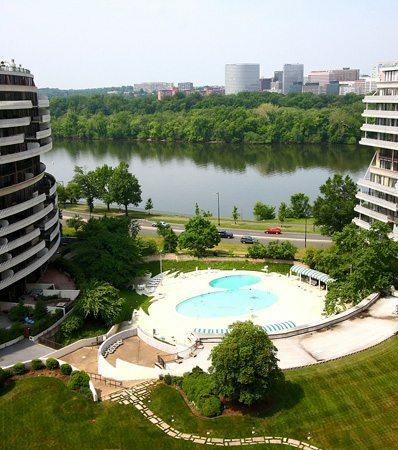 Watergate Residents Literally Have It All! The Watergate is the kind of property where residents never need to leave — a city within a city. Community amenities include a 24-hour front desk and doorman, restaurants, a shopping mall, health club, medical and dental offices, a pharmacy and a grocery. Many units offer large sweeping balconies while penthouse units feature rooftop terraces and fireplaces. Notable residents include Former Secretary of State Condoleezza Rice, Placido Domingo and other well-known dignitaries and members of Congress. 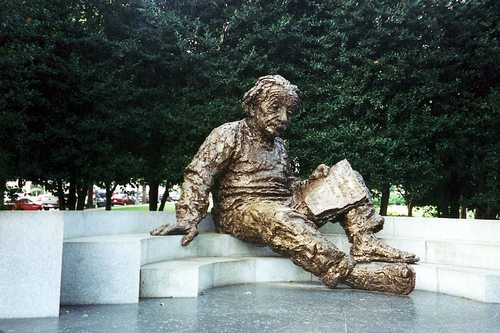 Home to everything from government executive buildings to cultural landmarks to George Washington University, Foggy Bottom houses an equally fascinating mix of residents. Enjoy striking views of the Potomac as you stroll among historical sculptures on your way to any number of fine dining or shopping destinations. Heading north, a walking/jogging trail connects Foggy Bottom to the Georgetown waterfront that offers a stunning new park along with tons of restaurants and cafes, Thompsons Boat House and the marina at Washington Harbor. 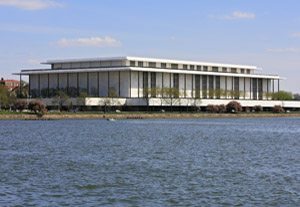 Immediately to the south along the river lies the Kennedy Center and the monuments. A new Whole Foods grocery store has just opened in the neighborhood making Foggy Bottom truly complete. Many Foggy Bottom residents walk everywhere because everything is so close to home. However, major transportation routes are easily accessible from Rock Creek Parkway and getting in and out of Foggy Bottom is a breeze. Virginia and National Airport are just moments away. The area is served by the Foggy Bottom-GWU Metro stop on the Orange and Blue lines. Abundant taxis are also available at your doorstep. Like The Watergate? Consider these similar buildings. In Georgetown, consider The Residences at Harbourside, Washington Harbour, The Flour Mill and Ritz-Carlton Georgetown. In the West End, buildings of note include The Ritz-Carlton West End and 22 West. Across the Potomac in Rosslyn, take a look at Turnberry Tower for high-end amenities and luxuries. For more information about The Watergate or to discuss buying or selling a luxury property in the Capital Region, contact Jeff Wilson at your convenience.